Munnabhai third series story altered!. 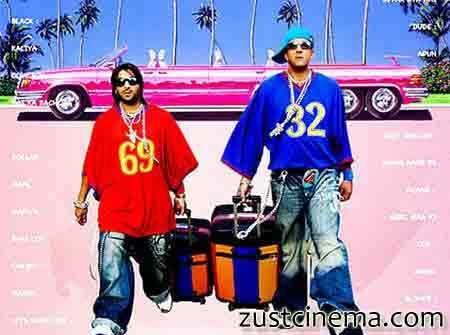 Munnabhai franchise third instalment film Munnabhai Chale Amerika to kick start its shooting from the mid 2012 says cirkit Arshad Warsi and also clarifies that Munnabhai third series will not deal with America nor the cast ride US for the shoot.As the initial script of the third series is termed as oth Munna and cirkit going to US to meet President. Raj Kumar Hirani who has penned the story and director of the film has changed the entrie story of the third part of Munnabhai said Arshad. As Shah Rukh Khan had already met President of US in My Name Is Khan keeping this in mind Raj Kumar Hirani has altered complete story of Munnabhai Chale Amerika. As of now the prmo trailer of Munnabhai Chale Amerika which was shot earlier was put on hold.Currently Raju Hirani is busy with his upcoming directorial film Ferrari Ki Sawari.